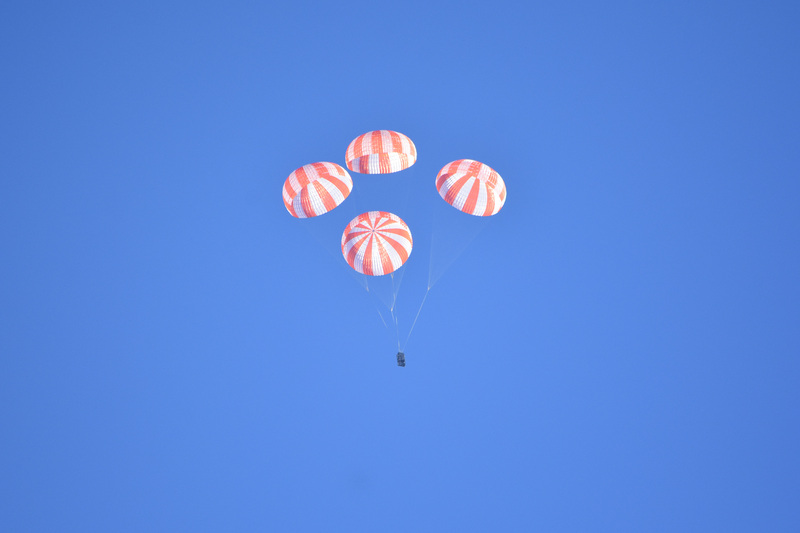 Four red-and-white parachutes unfurled high above the desert near Coolidge, Arizona, recently during a test of the system that initially will be used to safely land SpaceX’s Crew Dragon spacecraft carrying astronauts back from the International Space Station. The test used a mass simulator as the weight of the spacecraft connected to the parachute system. The mass simulator and parachutes were released thousands of feet above the ground from a C-130 cargo aircraft. This test evaluated the four main parachutes, but did not include the drogue chutes that a full landing system would utilize. As part of its final development and certification work with NASA’s Commercial Crew Program, SpaceX continues to perform tests of flight-like hardware that allows engineers to assess the reliability. Later tests will grow progressively more realistic to simulate as much of the actual conditions and processes the system will see during an operational mission. Initially, the spacecraft will splash down safely in the ocean under parachutes, but ultimately the company wants to land the vehicle on land propulsively using eight SuperDraco engines. SpaceX tested its propulsive land landing ability in Texas in November. SpaceX and Boeing are working in separate partnerships with NASA to build a new generation of human-rated spacecraft to take astronauts to the International Space Station. Photo credit: SpaceX. Congratulations from NASA’s Commercial Crew Program are again in order for Blue Origin following the launch Friday of its New Shepard sub-orbital rocket and spacecraft. The launch at the company’s West Texas test site set a new mark because it was performed with the same booster that flew a similar mission profile three months ago. The test is significant because rocket reusability could drive down spaceflight hardware costs. 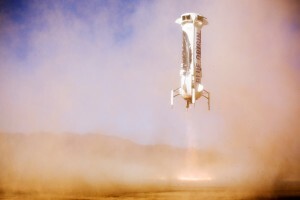 In both flights, the New Shepard booster flew high into the sky before separating from the uncrewed capsule. The flight reached above the 100 kilometer Karman line, which is considered to mark the beginning of space. In both missions, the booster returned to Earth and landed on its four legs. The spacecraft, designed for humans but not carrying people yet, parachuted back to the ground. 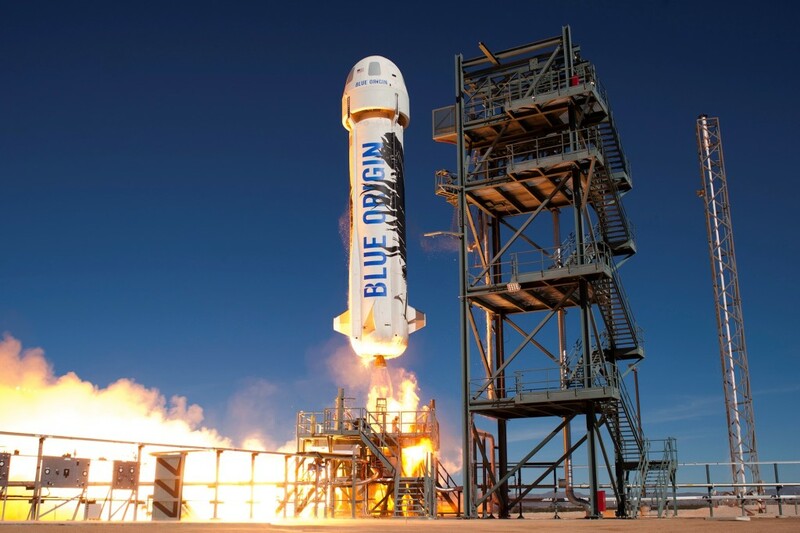 Blue Origin has worked with NASA’s Commercial Crew Program on the development of the vehicle and rocket engine since 2010. NASA did not have a hand in this flight test, but the space agency will support two milestones this year. SpaceX recently tested its ability to fire engines that will be used to land a human-rated spacecraft safely on the ground with the accuracy of a helicopter at the company’s test facility in McGregor, Texas. SpaceX envisions returning people to Earth from space on the power of thrust instead of beneath parachutes. Working with NASA’s Commercial Crew Program, SpaceX is in the early phases of analysis. 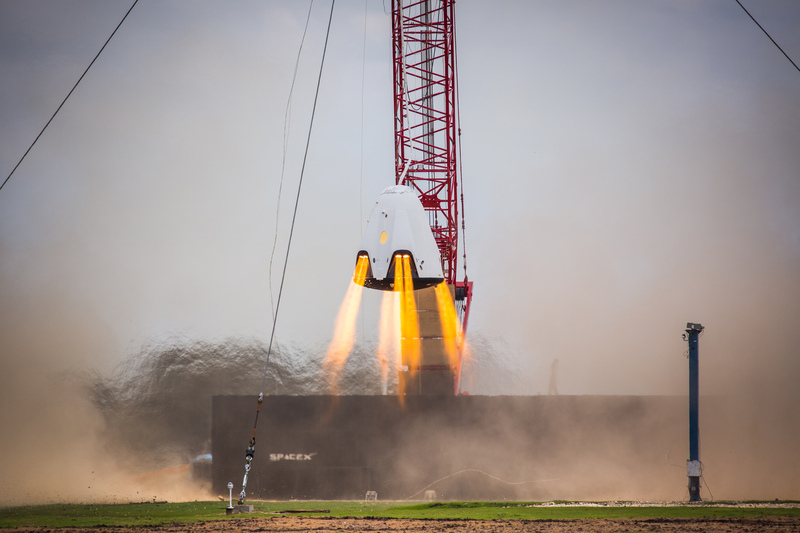 In November, the company conducted two tethered tests of a full-size Crew Dragon mock-up attached to a crane so engineers could refine the landing software and systems on the spacecraft. The Crew Dragon spacecraft will be equipped with eight SuperDraco thrusters that would be used to slow the vehicle’s return to Earth through the atmosphere and ultimately set the spacecraft and its crew down gently. Propulsive landing will not be used initially for missions with NASA astronauts to the International Space Station.The Crew Dragon will splash down safely in the ocean under parachutes as its passengers return from the space station. NASA’s Commercial Crew Program and its aerospace industry partners Boeing and SpaceX are on the eve of America’s return to human spaceflight launches. By the time the year closes, Boeing’s CST-100 Starliner and SpaceX’s Crew Dragon will be poised for the flight tests that allow our astronauts to travel to the International Space Station lifting off from Florida’s Space Coast. 30 years ago, after launching from SLC-41, NASA’s Voyager 2 spacecraft captured images of Uranus during an historic flyby of the gas giant. 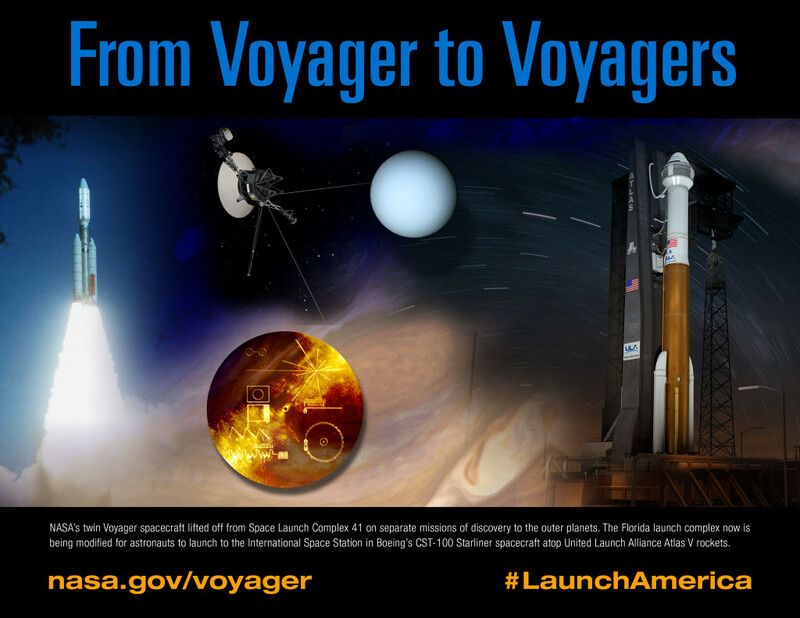 Today, the same launch pad is getting ready to launch human Voyagers – NASA’s Commercial Crew astronauts – on a new generation of spacecraft. 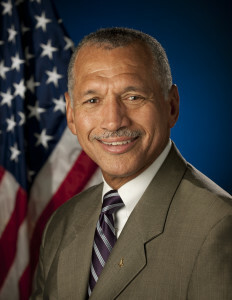 Today, NASA Administrator Charlie Bolden blogged about the agency’s plan, vision and timetable for sending American astronauts to the Red Planet in the 2030s. By building a robust commercial market in low-Earth orbit, the agency is able to focus on simultaneously getting our astronauts to deep space. 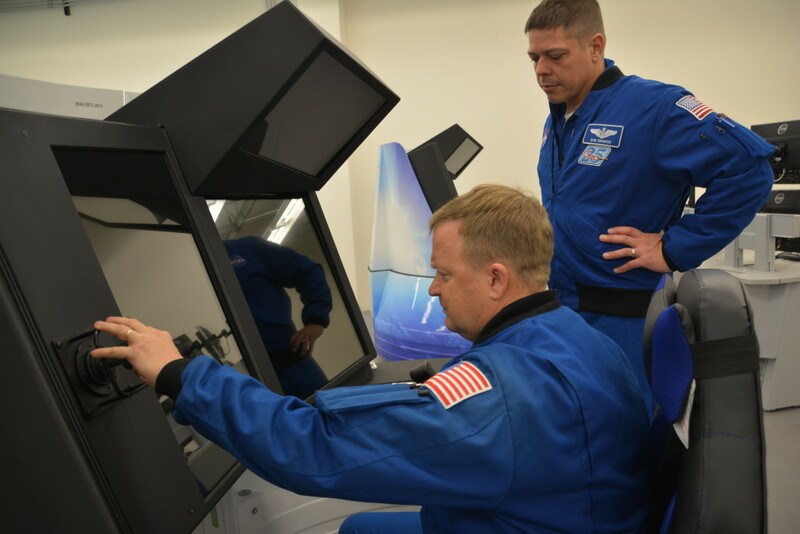 Commercial Crew astronauts Bob Behken and Eric Boe sat at the simulated controls of Boeing’s CST-100 Starliner recently as they evaluated sophisticated systems designed to train astronauts and mission controllers prior missions to the International Space Station. 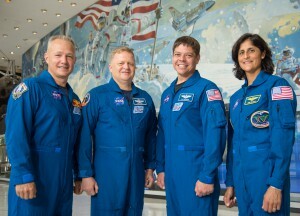 Behknen and Boe are two of four NASA astronauts, including Doug Hurley and Suni Williams selected to work closely with Boeing and SpaceX as the companies finalize their systems. Crews have not been assigned to specific missions or spacecraft, so the team is cross-training and aiding in development of both. The simulators were built at Boeing’s St. Louis facility and will be installed at NASA’s Johnson Space Center in Houston for training by astronauts and mission controllers. The simulators are extremely advanced and able to replicate numerous mission phases and flight conditions in order to prep crews how to handle the circumstances correctly. 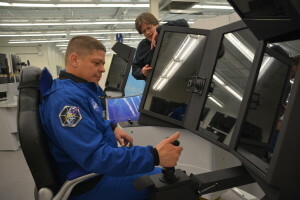 Traditionally, astronauts rely heavily on simulator training. Behnken added that the training equipment is comprehensive. NASA astronaut Ricky Arnold recently got an up-close look at the environmental control and life support system, known as the ECLSS, that Boeing will integrate into its CST-100 Starliner spacecraft for crew flights to the International Space Station. 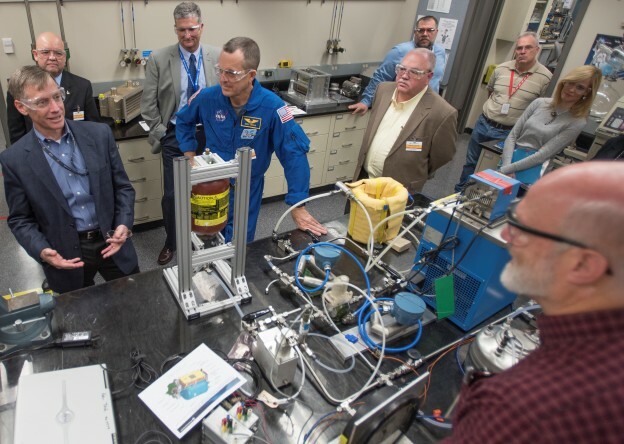 The visit with UTC Aerospace Systems in Windsor Locks, Connecticut, on Dec. 9 allowed the team to show off the critical components of the system designed to keep astronauts and the Starliner’s electrical systems safe in space, including cool, breathable air. The team recently passed a critical design review of the system, which will be fully integrated next year. NASA's Commercial Crew Program has worked with several American aerospace industry companies to facilitate the development of U.S. human spaceflight systems since 2010. The goal is to have safe, reliable and cost-effective access to and from the International Space Station and foster commercial access to other potential low-Earth orbit destinations. NASA selected Boeing and SpaceX in September 2014 to transport crew to the International Space Station from the United States. These integrated spacecraft, rockets and associated systems will carry up to four astronauts on NASA missions, maintaining a space station crew of seven to maximize time dedicated to scientific research on the orbiting laboratory.